1. 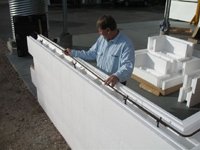 Wetset blocks: Our Wet Set block is typically set into a just-poured footing for a very quick and easily leveled stem wall. 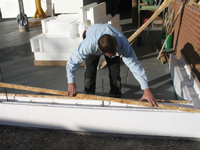 It saves time and provides an insulation value of R-18 for your slab. 2. 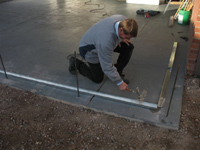 Install track: Standard 2 ½” steel track is attached to your slab with ¼”x3/4” drive pin anchors, ramsets, or other means. 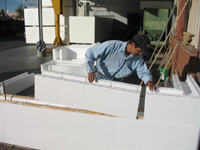 It is used to aid placement of the first course and as an attachment detail for drywall and baseboards. 3. 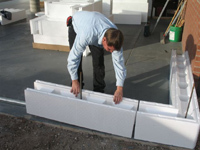 Install blocks: Install your corners first, and then fill in with the straight blocks. Once you are up three or four courses, you can plumb and align the wall. 4. 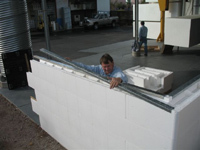 Install OSB: The included OSB (oriented strand board) is inserted into the channels in each block used to help make stacking the block easy, and it provides an attachment detail for drywall and for siding or stucco lath. 5. 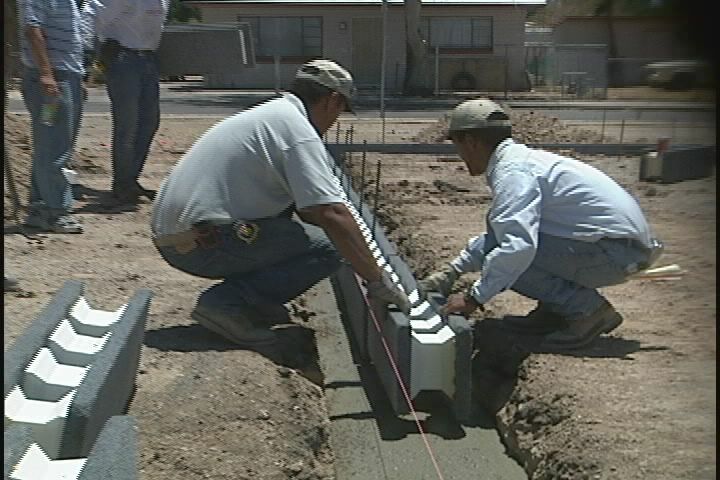 Install rebar, usually every fourth course, using our unique rebar chairs. 6. Place track on top of the wall before plumbing and grouting each lift. 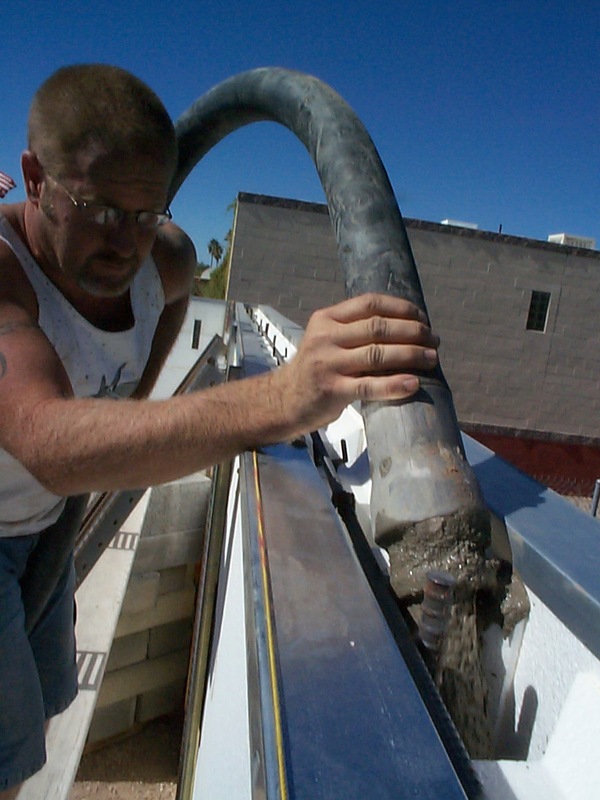 This helps align the walls and keeps the OSB channels clean. 7. Gluing: After stacking 3 or 4 courses and aligning and plumbing the wall, spot glue the blocks together every 6 to 12 inches. Fill in any gaps as well. 8. Grouting should be done in manageable lifts. 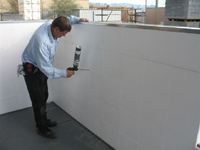 We like to use a small grout pumping service, and pour walls in two or more lifts. 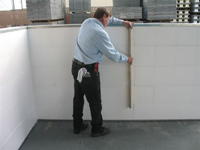 For example, a 10’ high wall would be grouted at 5’ and 10’.